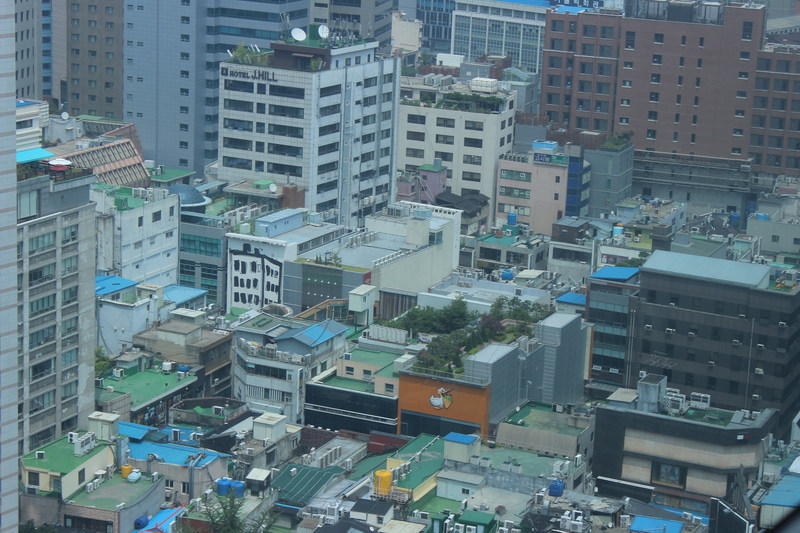 Perhaps some people have noticed the slow greening of Seoul over the last years. There are more plants everywhere and they are being taken care of more carefully than ever before. Whereas previously flowers were planted and left to die. These days we find that they are being watered and cared for. 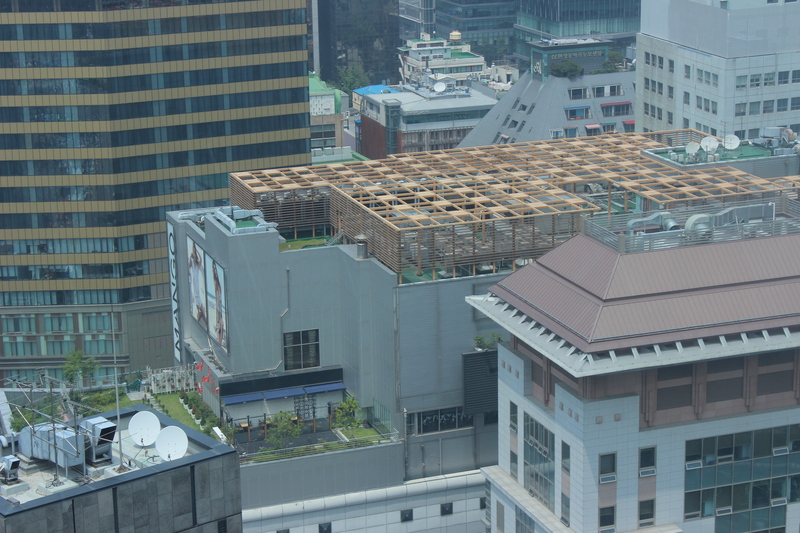 Across the city roof gardens are being set up on major buildings. 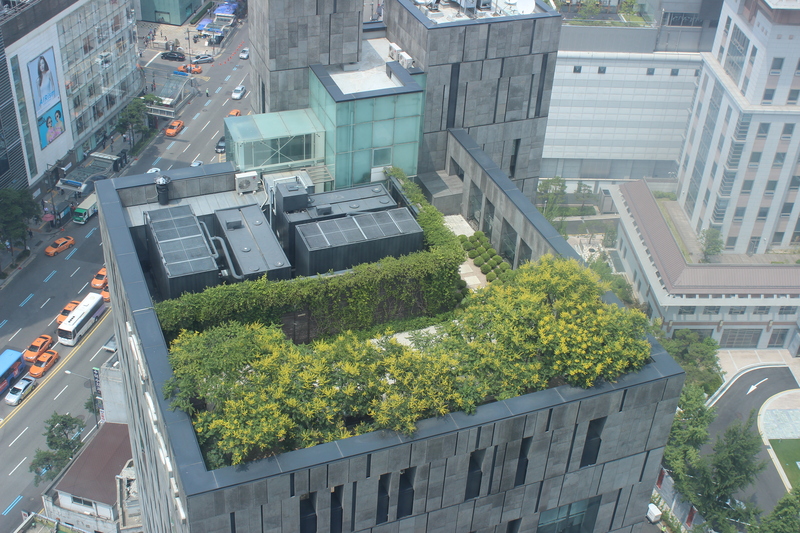 Owners are encouraged to do so, and most every city owned building already has a roof garden. Many of the culture centers and sports centers that dot the city have quite attractive gardens that are drawing a crowd of those in the know. 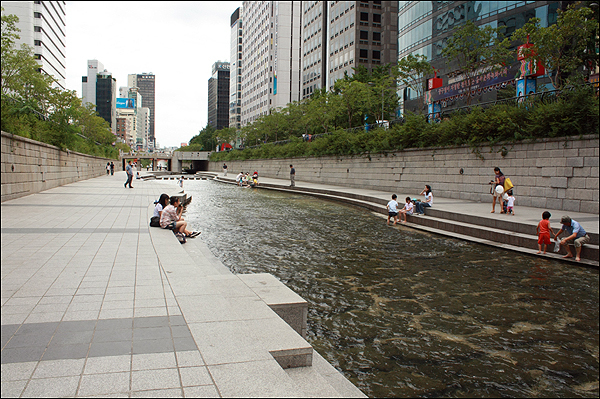 Whereas the Cheongyecheon (청계천) was planned by Mayor Lee Myung Baek, it started out as a rather mixed achievement. 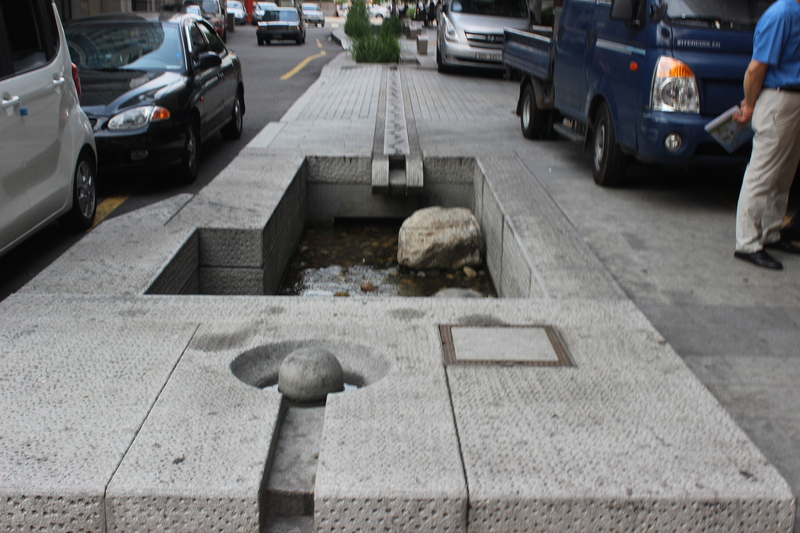 On the one hand, Seoulites were delighted to have the overpass and other unattractive stone buildings removed and replaced with a running stream surrounded by art. But the sides of the creek were sheer rock with no green and the water was essentially fishless. Barren Cheonggyecheon with little green on the sides. But the amount of green along the river is increasing rapidly over the last year. Moreover, large numbers of native Korean fish have been reintroduced and the quality of the water has improved immensely. Many native fish which were simply too sensitive to pollution to live in this urban creek are now thriving. But that is not all. Little ponds with fish are appearing in many forgotten parts of the city, often places which are not recognized tourist spots, making nature again a part of the Seoul landscape. Moreover, many places that were once sewers are becoming open clean running streams with moss and snails. Suggesting new potential for Seoul. What was once sewer water is now an small creek running in downtown Seoul. Various grasses grow along the edges of this creative man-made space.